Whilst on a recent photography tour of eastern Victoria I encountered a couple of old wooden trestle railway bridges, …….and who can resist a good bridge! 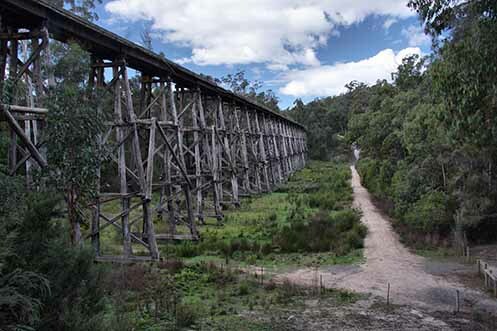 The Stony Creek trestle bridge (pictured above) is located at Nowa Nowa in Victoria’s south east. Apparently this is the largest standing bridge of it’s kind in Victoria, measuring 247 meters long and standing 20 meters high. 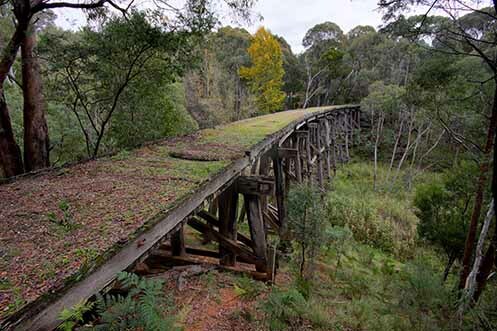 The bridge was made in 1916 and remained in service for over 60 years until it was damaged by bushfire in 1980. 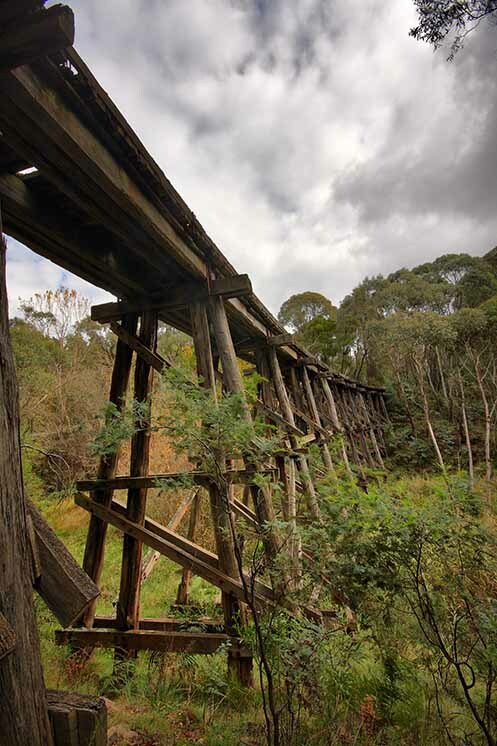 The two images below were taken at the trestle bridge in Mt Lawson state park, in Victoria’s north east. The high timber bridge which was built around 1915 spans Boggy Creek and formed part of the now disused Wodonga – Cudgewa railway line. It seems to me that Cement Creek was dealt an injustice when it was first named. Despite it’s odd name, it really is quite an attractive location and a fine example of lush Victorian forest. 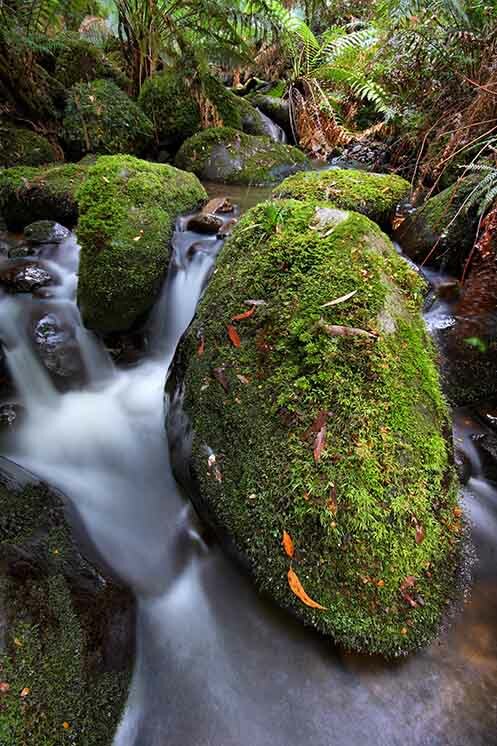 Cement Creek in located at the foot of Mount Donna Buang, near the intersection of Donna Buang Rd and Acheron Way. On this excursion we gained access to the creek by walking along raised platforms which got us most of the way, then we jumped the handrail into the forest to get to the flowing water. 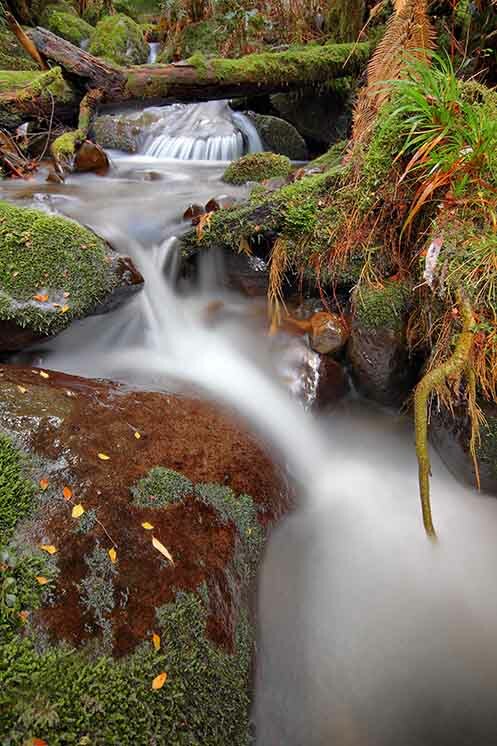 At this location you need to be prepared to get muddy and wet, so it’s advisable to keep a change of clothes in the boot of your car. The main hazard here is the slippery moss covered rocks. A minor hazard is the hungry leeches. 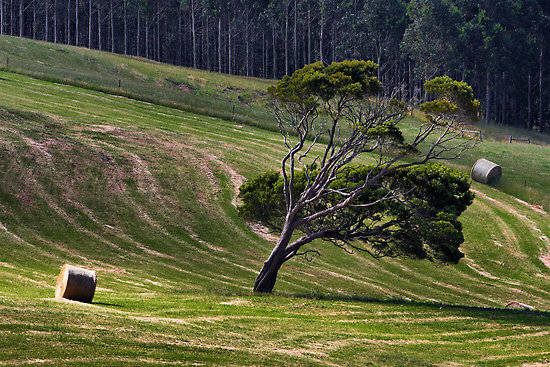 Images taken from a recent excursion to South Gippsland. 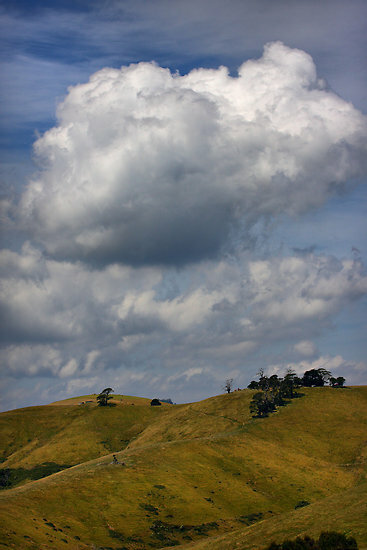 An image taken near Mt Best. Distinctive trails on the ground show the path of harvesters on the grass. The foreground tree is shaped into submission by the prevailing winds. The hay bale in the foreground is highlighted by the sun shining through scattered cloud. Image taken near Dollar, Victoria, Australia. 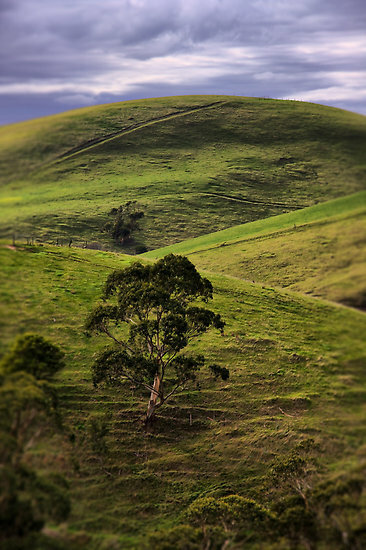 This image was taken near Agnes, in Victoria’s Gippsland region. In the cooler wetter months the hills are a lush green colour then they start to brown off over summer. Gum trees growing precariously close to a cliff edge in western Victoria, Australia. I was attracted to this scene by the trees silhouetted against the bright cloudy sky and of course the dead limbs in the foreground. This image of an abandoned house was taken during an excursion to the Dandenong Ranges, Victoria, Australia. Home Sweet Hell is available as high quality print on my RedBubble and Zazzle websites. 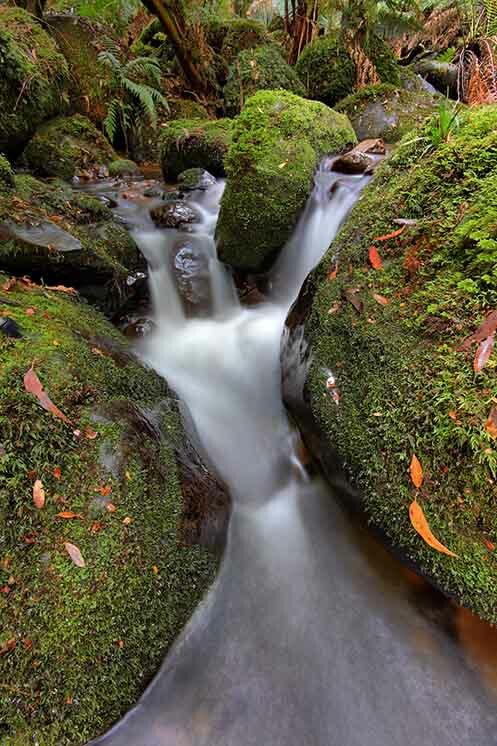 A small waterfall by the road somewhere south of Woods Point in hillbilly country, Victoria, Australia. Somewhat ravaged by the ongoing drought, the lake has receded but Bonnie Doon still has some wonderful rolling green hills at this time of year. Visiting Silverband Falls, the Grampians. 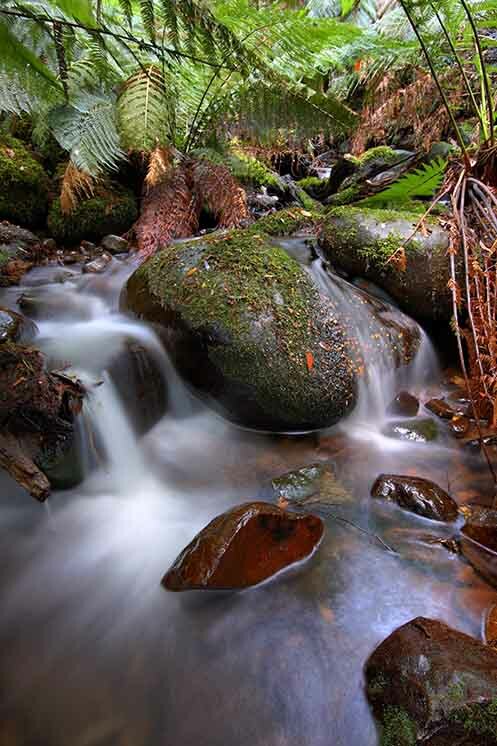 Image taken at the Silverband Falls, in the Grampians, Victoria, Australia. Fog blows across an otherwise sunny section of Mt.Difficult Road near Halls Gap, Australia. This image is available as a quality print here. 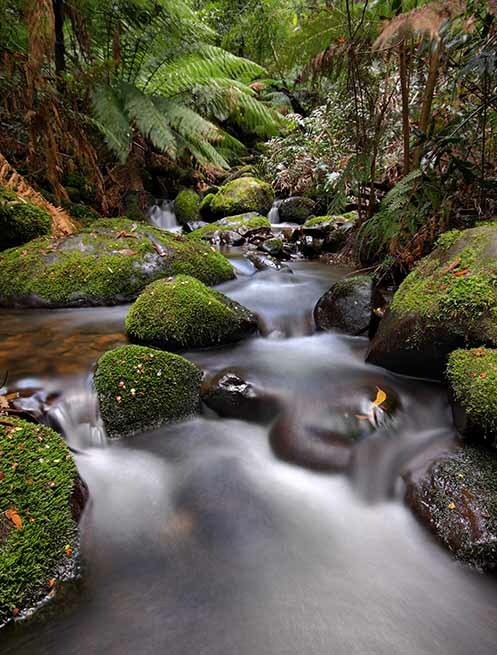 Looking upstream at Cement Creek near Warburton, Victoria, Australia. 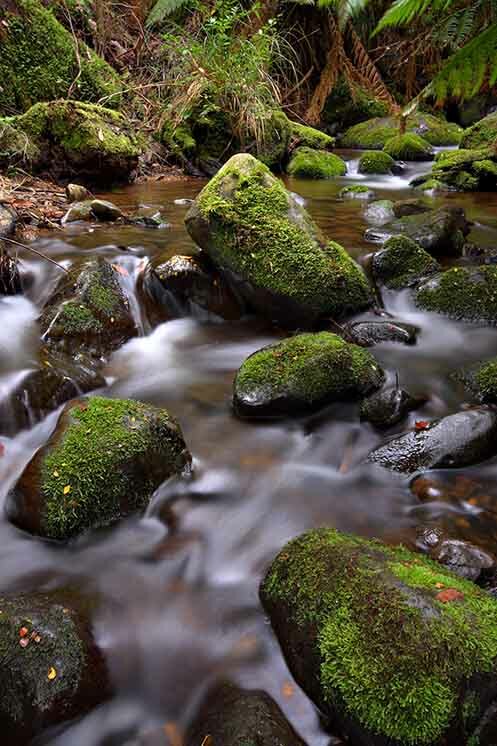 A beautiful lush green environment well worth visiting for it’s photo opportunities. The sun sets over mountains west of Neerim, Victoria, Australia. The sunsets near Neerim, Victoria, Australia as a typical autumn mist engulfs the local mountains.